Enjoy an afternoon on a real working farm! Pet and feed our animals from ducks and rabbits to pigs and cows! 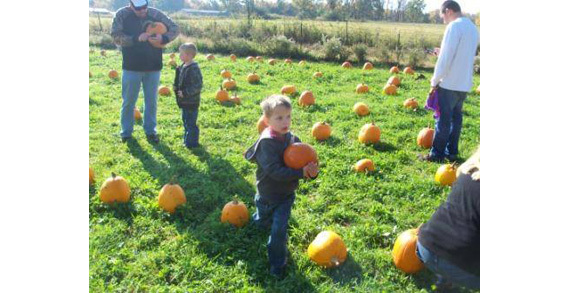 Take a hayride, pick your own pumpkin and take a walk through our woods enjoying the natural autumn beauty! Homemade baked goods, snacks, organic cheeses and local produce, honey and maple syrup are just some of what you’ll find in our store! Down home cooked lunches are available! Admission, hayride and animals are free! Stop by to see us, we are open every Saturday/Sunday in October 12p-5p! 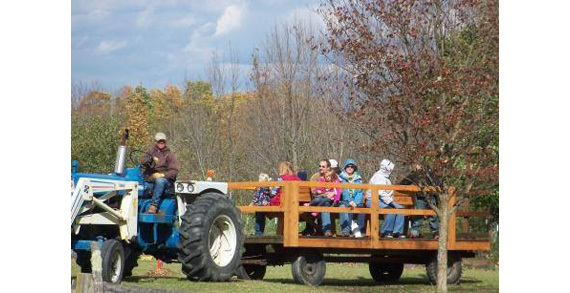 Free admission/parking, Pick your own pumpkins, petting animals, tractor driven hayrides, woods walk, country store!